This recipe uses Tilapia fillets which is an incredibly common and less expensive white fish. It’s a great option to eat fish on a budget. You can use any white fish with this recipe though so feel free to experiment with what is available in your area. This dish is packed full of healthy vitamins and overflowing with flavor! 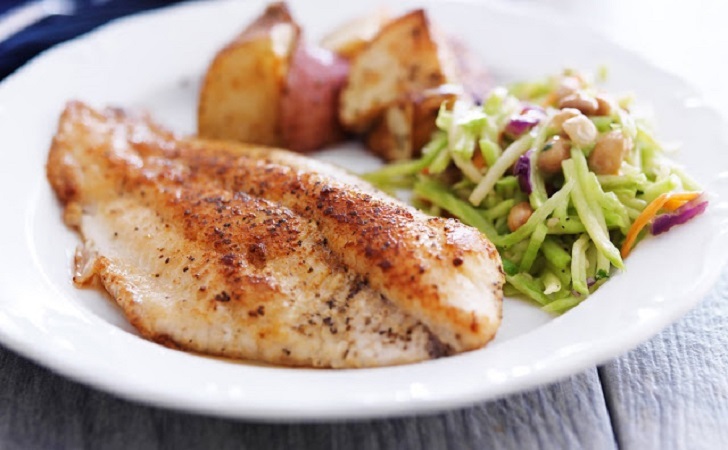 Tilapia fillets is the easiest and tastiest way to get healthy fish onto the dinner plate. Cooking fish at home has never been easier! Heat 2 tablespoons of oil in a skillet over medium heat. Sprinkle both sides of the tilapia fillets with lemon juice, oregano, thyme, salt, garlic, paprika, and pepper, and lay the fillets in the heated skillet, making sure they don't touch. Sear the fillets for approximately 4 minutes on each side, until the fish is golden brown on the outside, and opaque and flaky inside.